The unconditional love of a dog heals the soul, reaching into the heart to cross canyons of loneliness and despair. Military researchers are trying to learn if there’s real science behind that semi-mystical link and whether it can help treat the signature wounds of the Iraq and Afghanistan wars. “We had never trained a tripod to be a service dog,” said Mary Peter, CEO and founder of K9 Partners For Patriots. The Brooksville, Florida program is helping veterans win the war against suicide, depression and anxiety through the experience of training their own service dog. The dog Mary was referring to, a Jack Russell Terrier mix, had been pulled from a kill shelter by a Spring Hill rescue group called Furever Friendz Inc. When volunteers picked him up, he was jaundiced with an infection in his right leg and parts of his right shoulder. He looked as if he’d been to hell and back. Once his caregivers nursed him back to health, including treating his infections, he was scheduled for surgery to save his leg. During surgery, the doctor discovered that the injury to the dog’s leg was so severe, amputation would be the best solution. The happy little guy re-habbed really well, hardly noticing the difference. Furever Friendz Rescue Inc. made him available for adoption. He ended up in a most unusual place. Lt. Dan, the tripod, pulled from a kill shelter, fostered by a rescue group, adopted by a veteran to be his service dog. In War, There Are No Unwounded Soldiers. Every veteran has a story. Sometimes, it’s the wounds that are unseen that hurt the most. The conditions of Post Traumatic Stress Disease (PTSD) and Traumatic Brain Injury (TBI) are often invisible to other service members, family and society. Each condition affects mood, thoughts and behavior. Yet, these wounds often go unrecognized and unacknowledged. Roughly 20 veterans a day commit suicide nationwide, according to new data from the Department of Veterans Affairs (VA). The problem is particularly worrisome among female veterans, who saw their suicide rates rise more than 85 percent between 2001 and 2014. Women make up 15 percent of our All Volunteer Force. About one-third of these women will be sexually assaulted during their time in service. The first step to helping our veterans is to educate them about PTSD and what is going on inside of them. “They need to stop seeing themselves as broken, instead understanding that their brain did exactly what it was supposed to do to keep them safe in combat. They trained for combat; now they need to train to be home,” said Diane Scotland-Coogan, an associate professor in the School of Social Work at Saint Leo University. She provides counseling for many veterans with PTSD. Two major U.S. government studies are investigating the ways that trained service dogs may help veterans with TBI and/or PTSD. The first study is underway at the Walter Reed National Military Medical Center in Bethesda, Maryland. Participating troops are paired with puppies that they will raise for two years to serve as assistance dogs for other injured veterans. A second study, conducted by the VA, has taken several years and is almost complete. The focus of the study is to determine if “there are things a dog can do for a veteran with PTSD that would qualify the animal as a service dog for PTSD.” K9 Partners for Patriots is participating in the study. We All Have A Destiny. Mike, a retired veteran, has been through many tours of duty, including theatres in Desert Storm and Panama. Daily, he faces the mental, emotional and physical challenges as a result. Like many graduates of the K9 Partners for Patriots program, Mike returns to volunteer his services, wherever needed. His wife Lana volunteers as well. The day we met Mike, he was recovering from knee replacement surgery. Standing next to him was Lt. Dan, the aforementioned tripod Jack Russell Terrier mix. Mike named the dog after the character in the movie Forest Gump. Lt. Dan is now Mike’s service dog. It turns out this burly man with the imposing presence has a soft spot for the feisty little breed. When Lana first found the three-legged dog on the Furever Friendz Rescue website, she called her husband. “Honey, I’ve found a Jack Russell but, there might be one problem; he only has three legs.” Mike didn’t miss a beat. “Not a problem. Let’s bring him home,” he told her. Once home, the dog instinctively began alerting Mike to oncoming anxiety attacks. Mike’s wife noticed the overall calming effect Lt. Dan had on her husband and wondered if he could be trained to do more as a service dog. Lt. Dan passed the preliminary tests conducted by the trainers at K9 Partners for Patriots. He and Mike were immediately enrolled in the 19-week program. Lt. Dan was further trained to alert Mike to oncoming anxiety attacks, wake him from nightmares and calm him down in other certain trigger situations. At home, throughout the day and night, Lt. Dan never leaves Mike’s side. Army veteran Paul and his service dog Hans, a Lemon Dalmatian/Treeing Coonhound mix. Paul was diagnosed with PTSD, TBI, MCI (mild cognitive impairment) and GWS (Gulf War Syndrome). “I’ve seen quite a bit; lost friends,” he told us. “I was taking so many medications, just to get my head clear.” In 2000, a doctor predicted Paul would be dead in three years. He credits his faith, sense of honor and the medical profession with keeping him alive. “And my two daughters, Caroline and Viktoria. They’ve stuck with me through it all,” he said. About two years ago, Dr. Mueller, Paul’s clinical psychiatrist with the VA in New Port Richey, handed Paul a piece of paper. It had the phone number for K9 Partners for Patriots. When he called, he was told they would be able to evaluate his dog Moose, a black Labrador Retriever. If his dog passed, they would be trained together over the course of 19 weeks. “How much is this going to cost me?” he asked. Not a dime, he was told. There had to be a catch. “Nothing is free,” he thought, out loud. “You’re right, Paul. Nothing is free. You’ve already given us a lot. All we need now is your commitment to participate,” he was told. One in 25 dogs assessed actually makes it into the K9 Partners for Patriots program. “We look for dogs who can sense the adrenaline. Some dogs are repelled by it. Others could care less. We look for a dog who is attuned to it,” said Mary. Moose was 12 years old and it was determined he was too old for the service dog program. The Acquisition Team set out to find the perfect partner for Paul, which usually takes anywhere from two to six weeks. Paul and Hans graduated from the K9 Partners for Patriots program earlier this year. They continue to come to the campus to volunteer wherever they’re needed. “I’ll cut the grass. I figure if I can do something to free up the trainers so they can focus on what they do, then, it’ll help save another vet’s life,” he said. I’ve Got Your Back. Mary has never been in combat. “But I’ve seen some things that affected me while working in forensics recovery, and I had no one to talk to about it,” she said. She feels a higher power called her into action to help her community. “I cannot change the world, but I can sure help my corner of it,” she told us. The second hardest part of Mary’s job is convincing the medical field that the program is working. “Many of our veterans come into this program as highly medicated, barely functioning individuals,” she said. We See What We Choose To See. by Anna Cooke, Editor in Chief, The New Barker dog magazine. Would you be able to tell whether or not someone was homeless just by their appearance? According to the Tampa Hillsborough Homeless Initiative (THHI), data collected in 2016 counted 1817 homeless men, women and children. There are 67 counties in Florida. Bob Blair, a member of the Tampa Elks organization, helps organize a monthly outreach program that assists the homeless. Once a month, volunteers visit homeless camps throughout the city to provide food, counseling, toiletries and other necessities. The roaming outreaches, as they’ve been dubbed, help to determine where each quarterly outreach program will be held, which is much larger in scope. During the roaming outreach visits, volunteers have noticed an increase in the number of pets living with many of their homeless humans. While it is clear the pets, mostly cats and dogs, are loved, it is obvious they need care. About half the animals are spayed or neutered. Thankfully, word travels fast among animal lovers, and Victoria Parker of Bayshore Dog Training pulled together some pretty incredible can-do partners, including Second Chance Friends Rescue and 4 Lucky Dogs Pet Rescue. All three organizations pooled their resources and were able to collect large donations of pet food, flea, tick and de-wormer medication, collars, leashes, toys, bowls and tarps. 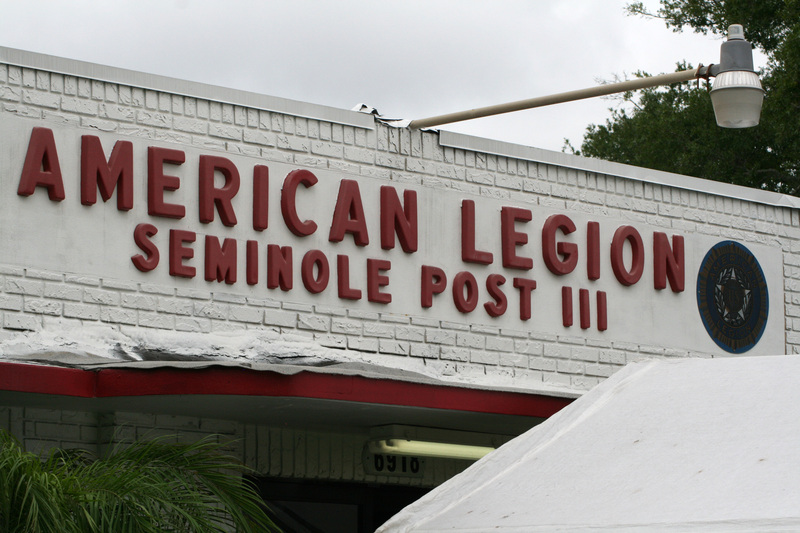 They attended their first quarterly community outreach event as the Homeless Dog Owner Outreach group, which was held yesterday, June 13 at The American Legion Post 111 in Seminole Heights on the corner of Florida Avenue and Sligh. The group’s volunteers set up tables inside and outside The American Legion. They were just one of many businesses and volunteers donating their products and services to those less fortunate. The Homeless Dog Owner Outreach group connected with more than 50 dog owners, many of whom had not brought their pets with them. “Oftentimes, when we visit the camps, these folks will refuse any help – whether it’s money or food. There are trust issues with many of these people,” said Bob Blair, the Tampa Elk volunteer. He estimated they would most likely see about 250 people during the day’s event. A hot meal was guaranteed to every person who attended. The food, donated by The Tampa Elks organization, was prepared and being served by Salvation Army volunteers. “It was an emotional day for me; seeing the gratitude of the people passing by our table,” said Victoria. Not everyone reaching out was homeless, but they were definitely in need of assistance, and education. One woman, with two small children, said the family’s young female Chihuahua had lots of fleas. While the medication and supplies were being put together for her, Gray asked if her dog was spayed. “No, we want her to experience motherhood, so we’re going to let her have one litter of puppies before having her fixed.” In a most eloquent and respectful conversation with the woman, Gray was able to convince her that spaying would be beneficial to everyone – the dog and the woman’s family. “Give your contact information to one of our volunteers right here, and we’ll arrange to have your dog spayed. We’ll cover the costs.” The woman looked relieved. As a result of their willingness to reach out, yesterday, the Homeless Dog Owner Outreach group has been asked to meet with both Metropolitan Ministries and Hillsborough County’s homeless veterans liaison. They are already preparing for the next quarterly outreach program in September. It would be wonderful to see the Humane Society of Tampa Bay, Animal Coalition of Tampa and the Hillsborough Animal Health Foundation partner with the Homeless Dog Owner Outreach group and provide on-site animal wellness checks, vaccinations and spay/neuter procedures during the Tampa Elks quarterly outreach events. In a previous issue of The New Barker (winter 2010), we featured a story on Gainesville’s St. Francis House Pet Care Clinic. At that time, the clinic was still operating in the back of the St. Francis House homeless shelter. While driving across town in Gainesville, Chris Machen noticed what others chose to ignore: the proliferation of homeless people with pets; mostly dogs, some cats. She observed how well-loved the pets were when their humans wandered into the St. Francis House soup kitchen and homeless shelter, where she volunteered. 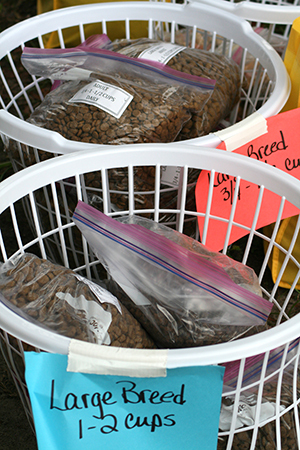 Wanting to become more involved in her community, Machen listened as her friend, Gainesville veterinarian Dr. Dale Kaplan-Stein, talked about wanting to open a clinic for animals of Gainesville’s homeless population. We met Sir Drake, a seven year-old Poodle, during the Community Outreach event for the Homeless in Tampa on Tuesday, June 13. His human, Charles, has lung cancer and is no longer able to drive. The New Barker has made arrangements with Tampa’s Rover Done Over Grooming to visit Charles at home and give Sir Drake a bath and groom. by Anna Cooke, Editor-in-Chief of The New Barker dog magazine. We have a problem in this state. Call it whatever you want: pet overpopulation. Blame it on the irresponsible public, if you’d like. It has reached epic proportions in Miami-Dade. Law enforcement and government officials are turning the other way, saying it’s not their job, not in their pay grade, not in their circle of knowledge. 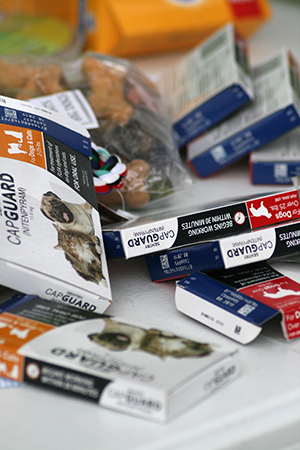 Small bands of animal advocates are stepping in, but it’s only a bandaid. The problem is growing, and dogs are dying as a result. Dogs are being dumped in an area known as the Redland Rock Pit. Volunteers with organizations like the Redland Rock Pit Abandoned Dog Project are trying to help the dogs by either capturing or feeding them have witnessed cars driving up, doors opening to let a dog out, then driving away. In one heartbreaking scene that played out just last week, a German Shepherd Dog chased after his owner’s car. The dog stood on the corner as the white car took off. A volunteer with Racing 4 Rescues coaxed the dog, now named Brady, safely into her car. Racing 4 Rescues volunteers were already in the area with the goal of pulling a momma (another German Shepherd Dog) and her two pups to safety. Momma and her two pups in the Redland Rock Pit area. Photography by Jaime Wald Seymour-Newton of JSN Photo/Animal Rescue. Her puppies were pulled. But, momma eluded volunteers with Racing 4 Rescues. Miami-Dade Animal Services is crowded – at capacity. Same story, different town. This, in spite of a grand opening in June 2016 of the brand new Miami-Dade Animal Services Pet Adoption and Protection Center. “The new Pet Adoption and Protection center is a significant accomplishment for our pet loving community and will help Animal Services continue to save lives,” said Miami-Dade Mayor Carlos Gimenez. “We built the best facility to help ensure every pet gets adopted, offer more low-cost spay/neuter services and enrich our life-saving programs,” he added. Mayor Gimenez, emails and phone calls are going unanswered. 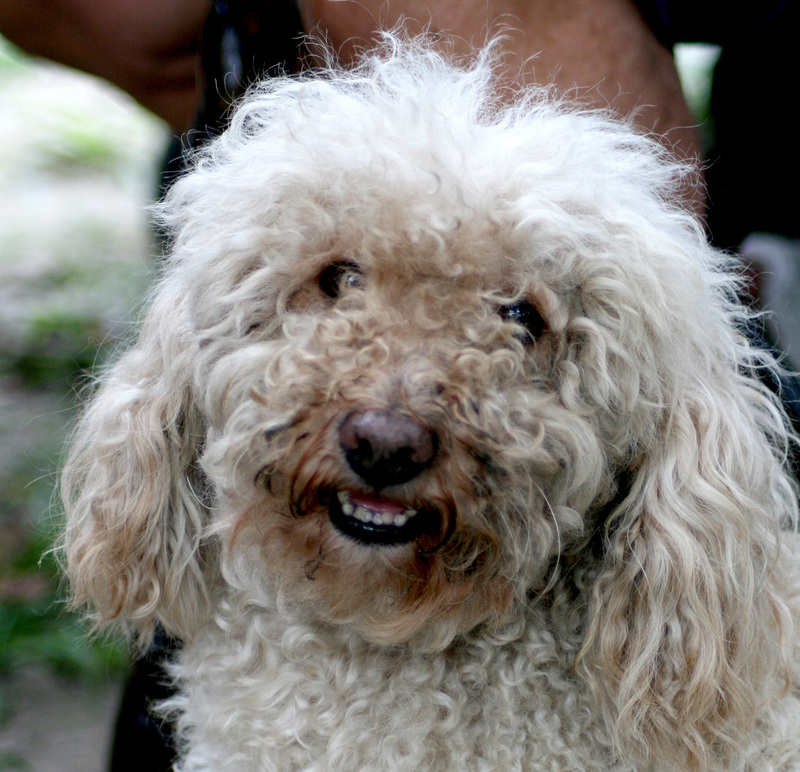 The dumped dogs, many of whom are unaltered, are left to fend for themselves. They are breeding, adding to the problem. Cruelty issues include dogs being sacrificed in Santeria rituals. Death by poisoning, or from being hit by cars. Starving to death. Have you seen some of the cruelties, Mayor? Meanwhile, people and businesses from outside your community are coming in to help, donating time, services and food. Resources that could be used to help shelter pets and the pet overpopulation problems in their own communities. Food, donated by Pet Food Warehouse of St. Petersburg, is loaded onto a truck bound for Miami. Yoho Automotive & Towing, owned by Danielle Yoho – also the founder and president of Racing 4 Rescues. Contact the office of Mayor Carlos A. Gimenez: mayor@miamidade.gov Call 305.375.1880. Brady, the dog left behind in front of witnesses at Redland Rock Pit, is in the caring hands of volunteers at Racing 4 Rescues. He has tested HW negative and is receiving treatment for skin issues. The Occupational Hazard Of Working With Animals. Society is disrespectful toward not only the animals, but shelter workers as well. Most often, animal caregivers leave shelter work, beaten down and disillusioned. The ones who stay, grow the proverbial “thick skin” in order to deal with the negativity they face, day in and day out. Anna Cooke, Editor, The New Barker Dog magazine. Siberian Husky Rescue of Florida. 2010 Get Rescued In Gulfport. The New Barker. Most animal caregivers go into the work, either professionally or as a volunteer, carrying a true love for animals in their hearts. They certainly don’t choose the work because of the extraordinary benefits or high salaries. Patricia Smith, founder of the Compassion Fatigue Awareness Project believes that those who work in animal welfare face different challenges than those in other areas of care (i.e. – nurses, social workers, EMTs). In other helping professions such as health care, teaching or firefighting, the workers are respected and even idealized. This is not the case with shelter workers. Most people believe shelter workers are part of the problem especially at shelters where the dogs and cats are euthanized. When the majority of workers/volunteers in an organization suffer the symptoms of compassion fatigue, the organization itself takes on the symptoms of organizational compassion fatigue. The result is high Worker’s Comp claims, absenteeism, inability of staff and management to collaborate, inability of staff to follow rules and regulations and lack of flexibility and adaptability among workers. Rescue groups experience a high turnover rate with volunteers. Eventually, this all affects the bottom line and lack of funds creates another layer of challenges: paying decent wages and benefits, lack of quality care the animals receive, inability to retain talented workers. The list is endless. “Turning around a shelter environment that is plagued with compassion-fatigued workers is the job of management,” said Smith. As a caregiver, whether as a professional or as a volunteer, self-care is the only answer to healthy caregiving, especially in animal welfare. It takes hard work to become “self directed” Smith explained. “Self direction means that we have personal boundaries, we are able to say “no” without feeling guilty. We know our limitations and we honor them. We practice self-care daily. We need to heal our deep hurts and not allow ourselves to be re-traumitzied by the work we choose to do,” she added. Compassion Fatigue is not the same as burnout, but they can co-exist. Burnout can happen to anyone in any profession. It’s a cumulative process marked by emotional exhaustion and withdrawal associated with increased workload and institutional stress. It is not trauma-related. Compassion Fatigue is specific to those who are working with a traumatized or suffering population. “Stress is too much: too much work, too much pressure, too many deadlines. Burnout is not enough: not enough time, not enough resources, not enough energy. When you add compassion fatigue to that mixture, you have a crippled individual in body, mind and spirit.” –Patricia Smith, founder of the Compassion Fatigue Awareness Project. This Thursday, October 27, the Tampa location of The Pet Loss Center is hosting a Compassion Fatigue Seminar. It is free and open to all who are in animal care: veterinarians, vet techs, shelter employees and volunteers, rescue organization volunteers. The doors will open a 6p with refreshments served. The seminar is from 6:30p – 7:30p followed by networking. Pets are welcome.The Pet Loss Center will donate $5 for every attendee that comes to the Open House+Seminar on behalf of a local shelter or rescue organization. The rescue whose organization has the most attendees represented during the Open House will receive a $500 donation from The Pet Loss Center. The Pet Loss Center, Tampa: 6091 Johns Road, Suite 5 33634. 813.999.4040. Every Home Should Have a Dog. And Every Dog Should Have a Home. Yes, we do love dogs. Leanne came perfectly dressed to work The New Barker dog magazine booth during Florida’s Largest Home Show at the Florida State Fairgrounds. Florida’s Largest Home Show and The New Barker dog magazine have teamed up to bring something warm and fuzzy to the Florida State Fairgrounds this Friday, Saturday and Sunday (October 18, 19 and 20). The Fall Fling Adopt-A-Pet will provide a free venue for Florida rescue groups to showcase their adoptables, hand out information and even collect donations for their cause: saving dogs from euthanasia. For 29 years Turner Expo has produced Florida’s Largest Home Show in the Tampa Bay Area. With more than 900 exhibits, the shows have been selected as one of the top 30 premiere home shows in the country and featured in the National Home & Garden Show Series. The success of the shows inspired Turner Expositions co-owner Paige Kolm, to give back to her community, which has been so supportive of the Home Shows. The avid dog lover is concerned about the high rate of euthanasia and the number of homeless dogs. It is a fact that an astounding 9,000 dogs and cats are killed every day in shelters across the country. “I just wanted to stop being an observer and become a doer. We, as a community, have to help change this situation, and we cannot rely on one entity to shoulder the entire burden,” said Paige. 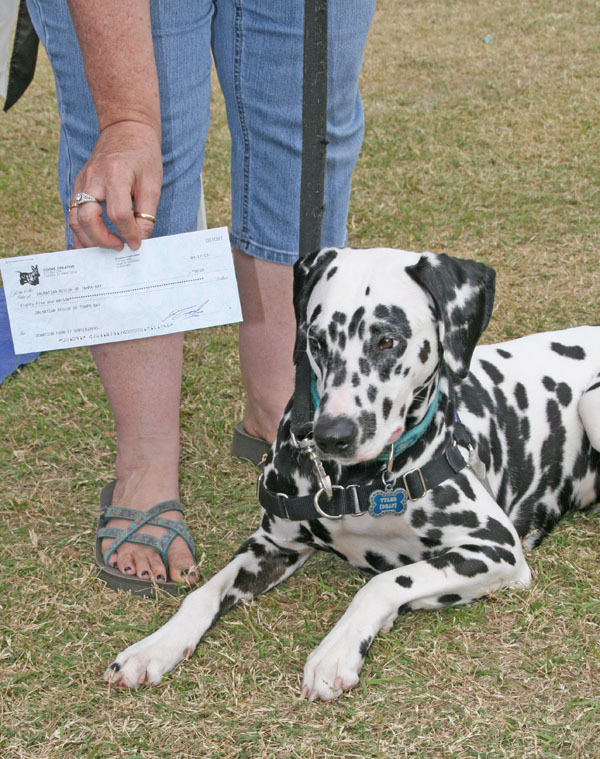 Pat Hose, a volunteer for Dalmatian Rescue of Tampa Bay, accepts a donation from The New Barker dog magazine. The New Barker donated five dollars of each magazine subscription purchased via the Dalmatian Rescue of Tampa Bay website. Home Sweet Dog Home. 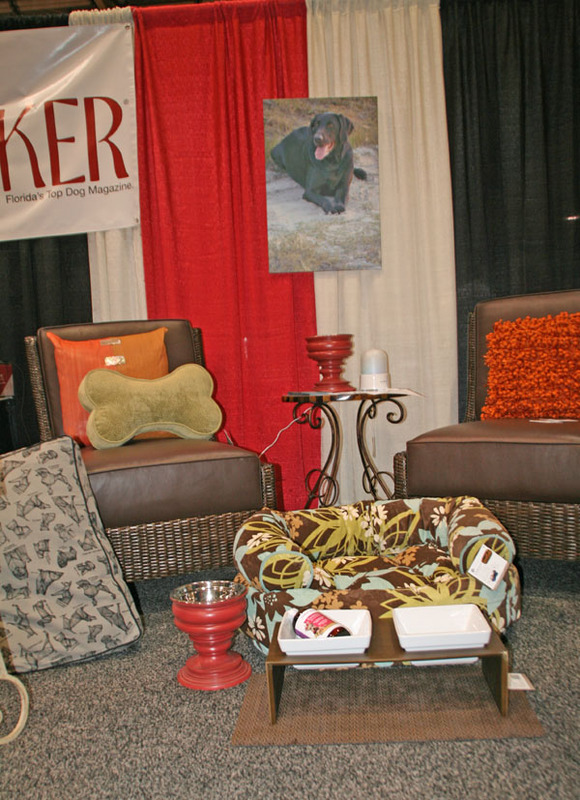 The New Barker booth during the Spring Home Show and Adoption Fling featured products by Bowsers Pet Products. In conjunction with the Fall Fling Adopt-A-Pet, on Saturday, Bay Area Kennel Clubs are participating in an AKC Responsible Dog Ownership Day. 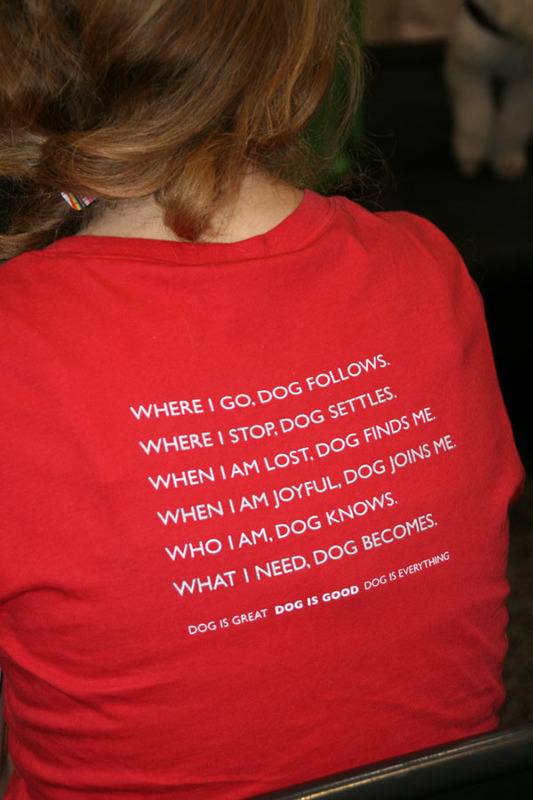 There will be Canine Good Citizen evaluations, demonstrations in Freestyle, Agility and Rally/Obedience. One-on-one sessions with a trainer, a Meet the Breed Parade and more. At The New Barker booth, homeowners will be able to speak with experts about liability insurance for their dogs, a different kind of home security and personal protection option, hospice care/end-of-life planning for the family pet and more. IN DOG WE TRUST will be selling their official NFL sanctioned line of dog bandanas. Show hours are Friday, October 18, 11a-6p; Saturday, October 19, 11a-7p; Sunday, October 20, 11a-5p. The event is free on Friday during the ABC Action News FREE Friday. On Saturday and Sunday, adult tickets are $8; senior tickets are $7; children under 12 get in free. The Florida State Fairgrounds is located at 4800 US Highway 301 North, Tampa. Attendees will want to use the 301 entrance gate. 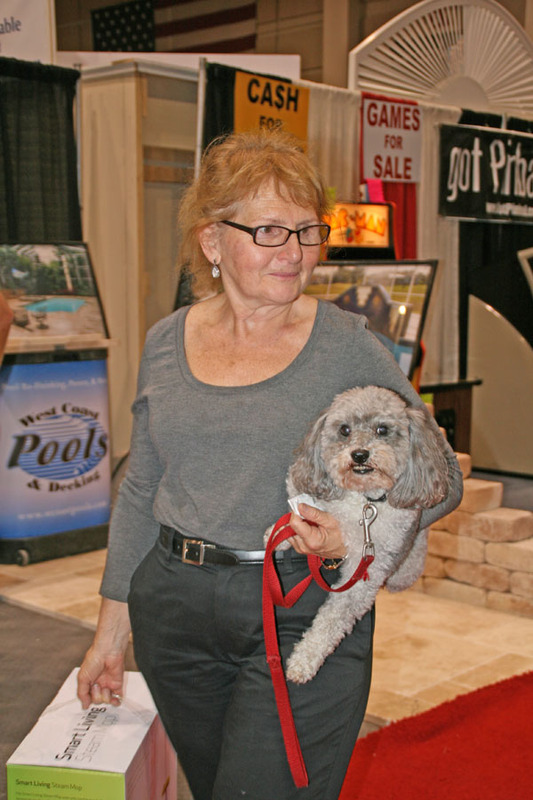 Yes, Florida’s Largest Home Show is Dog Friendly. Author Anna CookePosted on October 14, 2013 Categories UncategorizedTags Adoption, Agility, AKC, Canine Good Citizen, Conformation, Dogs, Euthanasia, Garden, Home, Home Shows, lifestyle, Obedience, Rally, Rescue, Responsible Dog Ownership, shelter, The New Barker dog magazine.